The iconic action hero is featured in this week's deal at Amazon! 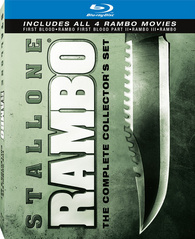 The online retailer is now selling 'Rambo: The Complete Collector's Set' for only $25 (55% off suggested list price). Click here to save on Stallone! The deal will run from now through November 5.